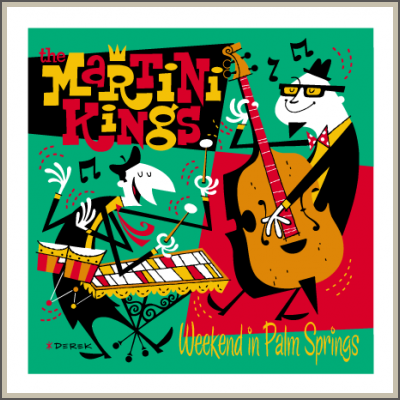 Dig those hep sounds by the world famous Martini Kings! This five color silk screened mini serigraph is printed on heavyweight paper measuring 12" x 12" in a limited edition of 165. Mister Retro has the ONLY 25 signed by the artist and the band. Get yours FAST, these won't last long!